Access to treated water and sewage services are human rights recognized for years by the United Nations. Recently, this topic has been brought to the spotlight when the issue of gender equality has been jointly focused with the issue of sanitation. The 33rd Session of the General Assembly of the United Nations Human Rights Council, which was held on July 27, 2016, dealt specifically with this. According to UN Special Rapporteur, Brazilian Léo Heller, gender equality is a fundamental principle of human rights that has not always been respected in urban development policies. In the rapporteur's view, transformative action is needed to achieve gender equality with regard to the right to the regular provision of treated water and the collection and treatment of sewage. The main ideas and conclusions of this report can be seen in the United Nations (2016). Gender inequalities occur at every stage of a woman's life, from her childhood to her old age. That is why it is so important to pay attention to the special needs of women with regard to the right to water and to the sanitary sewage in the different phases of their lives. It is fundamental to note that gender inequality in access to water and sewage services also affects other human rights, such as women's right to health, security, adequate housing, education and food. Equality of public policies requires consideration of the material and strategic needs of women. This includes both the practical needs of women (such as of menstrual hygiene) and gender stereotypes and customs. Due to the role played by women in domestic and family care, lack of water affects women's lives more intensively than men. The United Nations report (2016) highlights the fact that women perform unpaid work (domestic and care) three times as much as men do. Thus, as caregivers, women are most affected when family members become ill as a result of inadequate access to water, sewage and hygiene. Also because of this role, women are in greater physical contact with contaminated water and with human waste when the sanitation infrastructure is inadequate. Subsequently, Chapter 2 investigates the access of Brazilian women to basic sanitation equipment. It identifies the existence of still high deficits. About 1.6 million women were still living in houses without exclusive-use bathrooms in 2016. In the same year, more than 15 million Brazilian women still did not receive treated water in their homes and there were 12 million women who had access to the general water distribution network, but the frequency of water delivery was unsatisfactory. The number of women residing in housing without sewage collection reached the figure of 26.9 million. This means that one in four Brazilian women still lived in a precarious situation from the point of view of access to basic sanitation. These conditions are analyzed in regional terms and by age groups, self-declaration of race, level of educational instruction and economic class, which allows to identify the deficits more precisely. Chapter 3 of the study investigates how sanitation shortages have compromised the health of Brazilian women and have influenced their lives. Lack of sanitation has led to the occurrence of infectious gastrointestinal diseases that, depending on severity, have caused women to move away from their routine activities, kept them on bed rest or hospitalized. 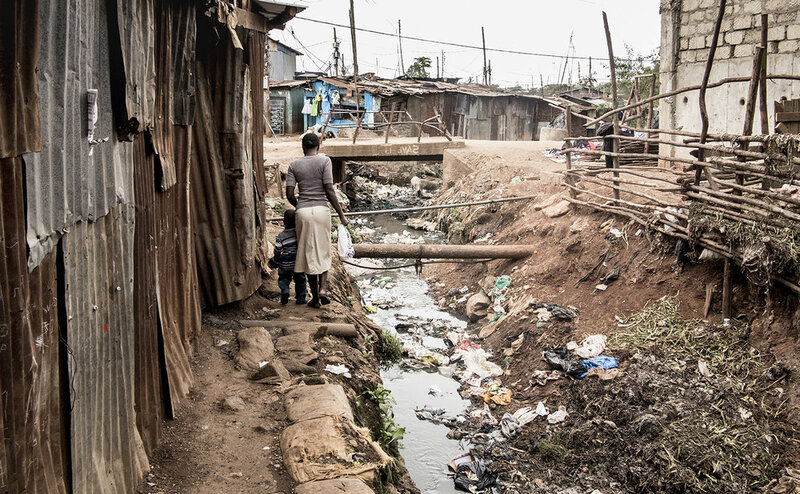 In extreme cases, these infections associated with poor sanitation led to death. This analysis is based on data from the National Health Survey (PNS) of 2013, which identified the occurrence of 7.9 million cases of withdrawal of women from their routine activities due to diarrhea or vomiting. Of this total, 3.6 million women were bedridden because of these infections. According to data from the Unified Health System (SUS), there were 353,500 admissions of women in the network and almost 5,000 deaths due to gastrointestinal infections associated with lack of sanitation. The occurrence of these diseases not only affects the productivity of women in their economic activities, with a compromise of their income, but also reduces their potential for performance in the studies. In order to understand and measure these phenomena, Chapter 4 of this study deals with the education and labor market information of the PNADC 2016 and data from the National High School Examination (ENEM) of that year. The analyzes identify the basic sanitation among the determinants of school delay, performance in studies and the remuneration of women in Brazil. Finally, the study addresses how the lack of sanitation directly affects women's lives in terms of how they organize their time between activities and how the lack of access to sanitation limits their income potential in the economy. In a broad sense, this final chapter of the study assesses how the lack of basic sanitation limits the well-being of women, compromising their health, education and domestic and economic activities. The estimated hours of Brazilian women which are wasted due to gastrointestinal diseases and, in the case of women engaged in economic activities, the income they no longer receive because of the diseases associated with lack of sanitation are presented. Viewed from a different angle, these estimates also quantify the potential welfare gains that could be obtained with the improvement of sanitation, that is, they indicate the increase in income and the greater availability of hours of rest or leisure that the Brazilian women would have if access to sanitation were universal in Brazil. Besides increasing the number of hours that can be spent on rest, leisure, work and education, universalization would decisively affect productivity and income, allowing a high number of women to leave the poverty condition.